David Villa rejoins Andres Iniesta at Vissel Kobe. NYCFC may seek alternatives other than replacing the prolific striker. It's patently unfair to view any team that fails to dominate its league as not fully committed to their project. When you examine New York City FC, however, it's too easy to reach that conclusion. The franchise was born with a silver spoon in its mouth and afforded every chance to succeed. Major League Soccer bent over backwards to accommodate City Football Group, the shell corporation that also houses Manchester and Melbourne City. CFG partnered with the New York Yankees. Baseball's wealthiest franchise had a 54,000-seat stadium for them to cohabit while they searched for a permanent home. They also had a successful cable network on which City could broadcast games. In a sporting market that already included the Red Bulls, MLB's Yankees and Mets, the NFL Jets and Giants, the NBA's Knicks and Nets, the NHL's Devils, Rangers and Islanders, not to mention a handful of top college programs and the US Open tennis tournament, the team signed three playing legends to put bums in seats. They also hired a legendary player to manage the squad. Then nothing. I'd say crickets but not in the Bronx. Instead, pigeons cooing and the occasional rumble as the 4 train, or maybe the B or D, passed on the el. NYCFC quickly became a contender but never the frontrunner. Despite the money and pedigree invested at Yankee Stadium, the Red Bulls remained the dominant New York team, winning Supporters Shields as the best regular season MLS side in 2015 and '18. Meanwhile, Toronto FC and Atlanta United won MLS Cups in 2017 and '18 playing the progressive brand of football City promised to deliver to the league. As they enter their fifth MLS campaign, the money remains in the Bronx. It hasn't bought a title or even land on which to build its own ground. Which is another problem. Sharing a baseball stadium is a bit like sleeping in your mate's garden. Not the best arrangement. If a match consisted entirely of corner kicks all taken from the spot where home plate would be for the Yankees, attending an NYCFC game would be ideal. Instead, the pitch is in the outfield, roughly a hundred feet from more than half the seats. People who paid good money to look over Patrick Vieira's impassive shoulders at Andrea Pirlo, Frank Lampard and David Villa required binoculars. Even if they brought them, there wasn't much to see from Lamps or Pirlo. The pair were well and truly past it when they arrived in the Big Apple. Villa was a different story. David Beckham remains in a class by himself in the MLS Designated Player pantheon. The Englishman didn't do much on the pitch until his final season. Nevertheless, his celebrity dragged the league kicking and screaming into the American sporting conscious' mainstream. On the pitch, Robbie Keane delivered a Supporters Shield and three MLS Cups in his six seasons with LA Galaxy. Sebastian Giovinco contributed one of each. With or without Lampard and Pirlo, Villa couldn't carry City over the line. His personal numbers compare well with the Irishman and Italian's, however. In 2017, his form reached the point where he received a call from the Spanish international team. He was 35. At 37, he's taken his act to Japan to hook up with Andres Iniesta and Lukas Podolski at Vissel Kobe. That leaves City without a striker. With the transfer window now closed and the season beginning in a month, it appears the team plans to play without one. Manager Domenec Torrent, who took the reigns when Patrick Vieira departed for Nice mid-season in 2018, has a new designated player albeit not one whose name rings a bell with most fans. 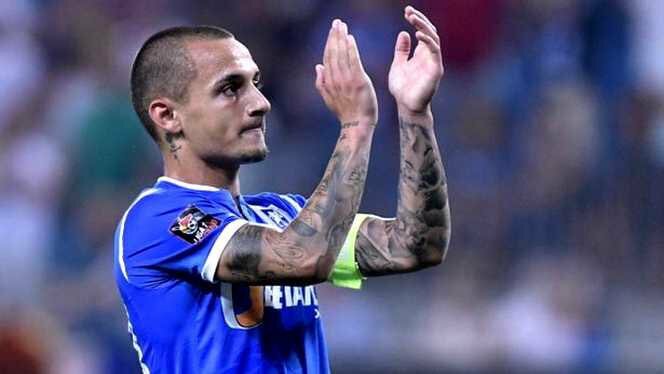 Winger Alexandru Mitrita arrives from Universitatea Craiova where he posted 12 goals in 19 Romanian Liga matches, sufficient to lead the division before his departure. Considering the 23-year-old re-signed for Craiova, his boyhood club, after failing to gain traction with Pescara Calcio in Serie B during the 2017/18 season, Mitrita is as far from a sure thing as one can get. At €7.4 million, Mitriță would be the 3rd largest outgoing transfer in Romanian league history..
On the one hand, he hardly seems a credible replacement for Villa. On the other, Atlanta United won an MLS Cup last season with Josef Martinez shattering MLS single-season scoring records after failing in Serie A and the Swiss Super League. Martinez knocked in 35 goals and six assists in 39 regular season and playoff games combined. Zlatan Ibrahimovic bagged 22 and 7 in 27 for LA Galaxy but failed to make the playoffs. While Atlanta paid Torino £4 million for Martinez and Zlatan arrived in La La Land on a free, the Venezuelan's wage packet featured significantly fewer zeroes. City hopes Mitrita delivers similar value on his €8 million pricetag. The winger prefers the left flank. According to Bobby Warshaw, MLS' answer to Michael Cox at Zonal Marking, manager Torrent may treat him like a poor man's Eden Hazard, playing Mitrita as a false nine in the absence of a traditional striker. It's a growing trend in European football. Why not MLS? If it doesn't work, you can be sure the board will be scouting available talent in June. Even if the franchise identified a suitable site for a new ground now, a new stadium wouldn't open for at least two years. NYCFC can't expect to sell lousy seats for an inferior product in a market like New York for that long. They need a star. Asking Alexandru Mitrita to fill David Villa's boots is a big ask. For the obscure Romanian, it's a massive opportunity. How does the song go? If you can make it there, you can make it anywhere. Pescara be damned.